I had started on size 3 needles, so the resulting fabric was stuff and scratchy, and the progress was slow. 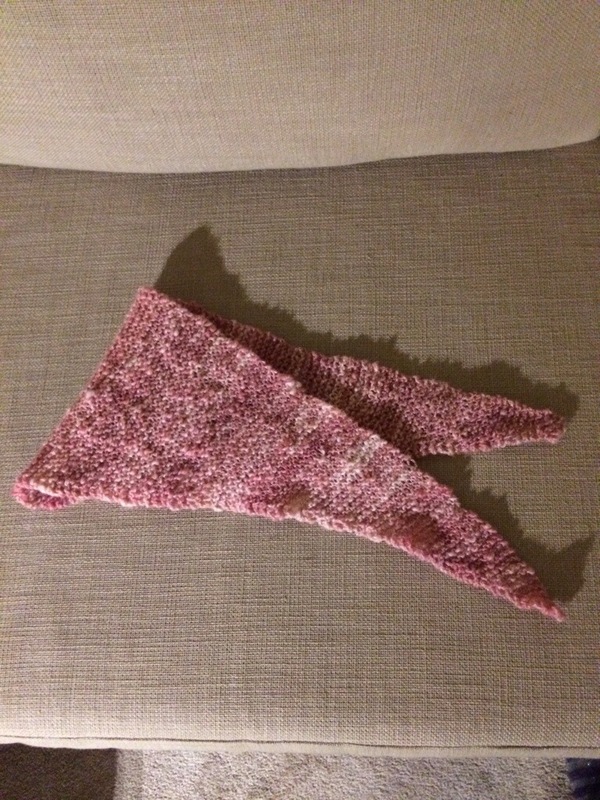 I switched to size 8, and one day later I have a finished scarf! 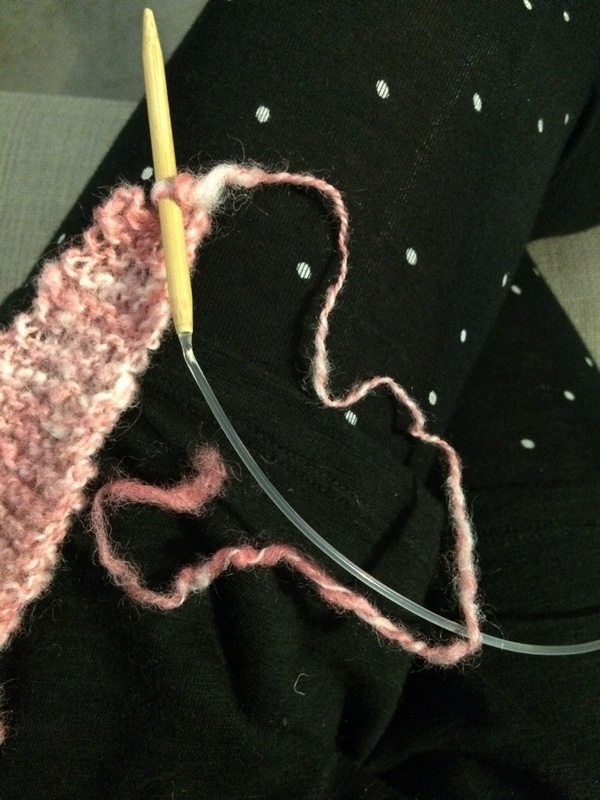 I had just a few inches of yarn left! This yarn is the result of roving the wee girl dyed in Easter with leftover egg dye, then I spun it up to become this! 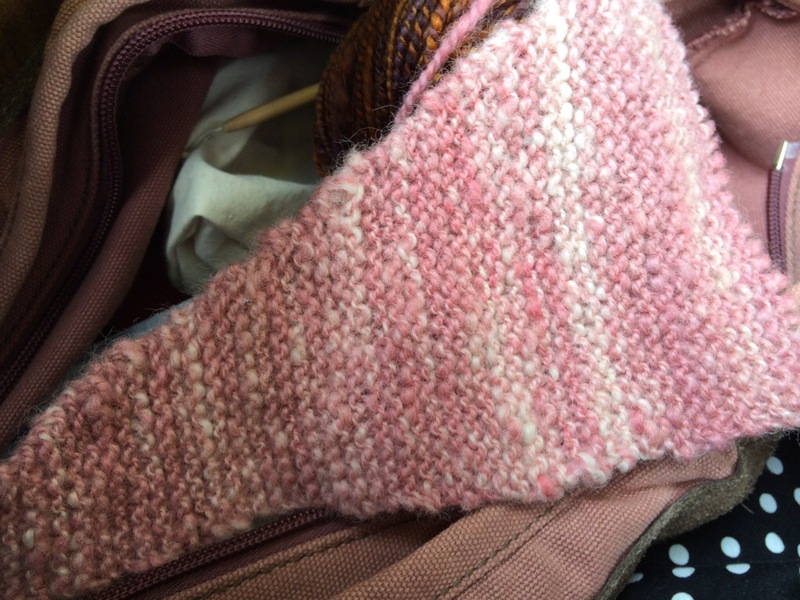 I think Baktus us a good choice for handspun or other precious yarn, because you weigh the yarn as you go, knitting the second half when your yarn is half gone, so you make the most of the yardage. The girl loves it! !